For the latest ESSA news, consult “Federal Flash,” the Alliance for Excellent Education’s (All4Ed’s) five-minute video series on important developments in education policy in Washington, DC. 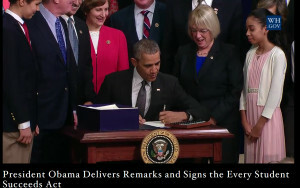 On December 10, 2015, President Obama signed the Every Student Succeeds Act (ESSA). 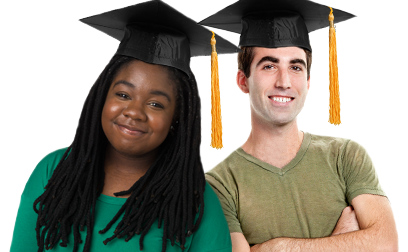 ESSA provides support to high schools where one-third or more of students do not graduate. It also provides support to schools with groups of traditionally underserved students who consistently demonstrate low performance. The law requires data on student achievement and graduation rates to be reported as well as action in response to that data. However, unlike NCLB, states, districts, and schools will determine what support and interventions are implemented. ESSA provides states and districts with a great degree of flexibility and responsibility. Developing such state-set policies that relate to “n-size,” achievement and graduation goals, timelines for progress, and school improvement strategies warrants the strong involvement of diverse communities and education experts. 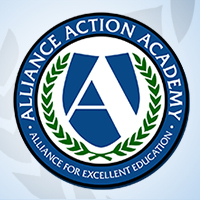 The Alliance is committed to working in partnership with civil rights organizations and others to support states in ensuring an equity-driven implementation of this bill. Under ESSA, states have flexibility to chart their own path to educational success, but they must submit a plan to the U.S. Department of Education (ED) explaining how they will reach these goals. ED has approved plans for all fifty states, the District of Columbia, and Puerto Rico. All4Ed developed the resources below to explain and compare these state plans. 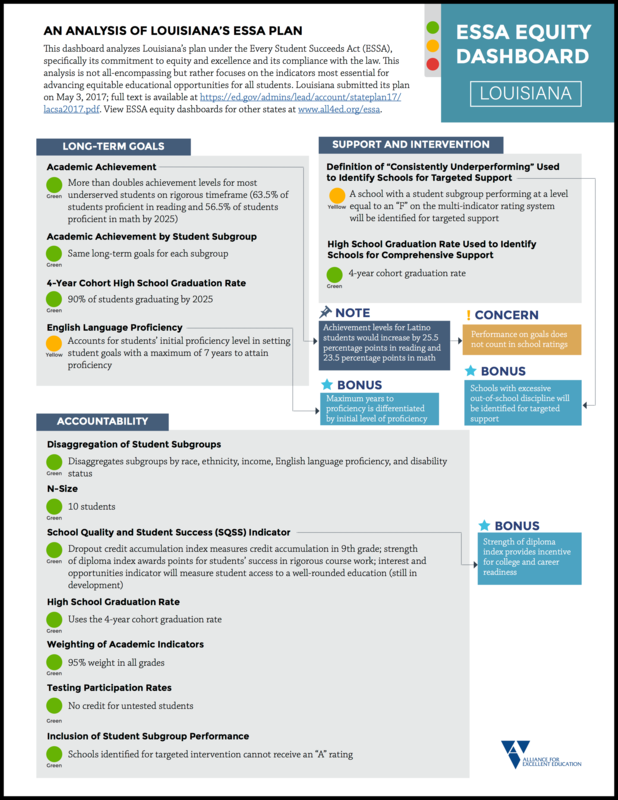 The ESSA Equity Dashboards use a red-yellow-green light–system to rate state ESSA plans on several indicators, including long-term goals, accountability provisions, and school rating systems. This All4Ed analysis finds that most states are shirking their responsibilities around two of the law’s most important provisions for historically underserved groups of students: including student subgroups in school ratings and the definitions used to identify schools for targeted support. Is your state one of them? What is n-size and why does it matter? 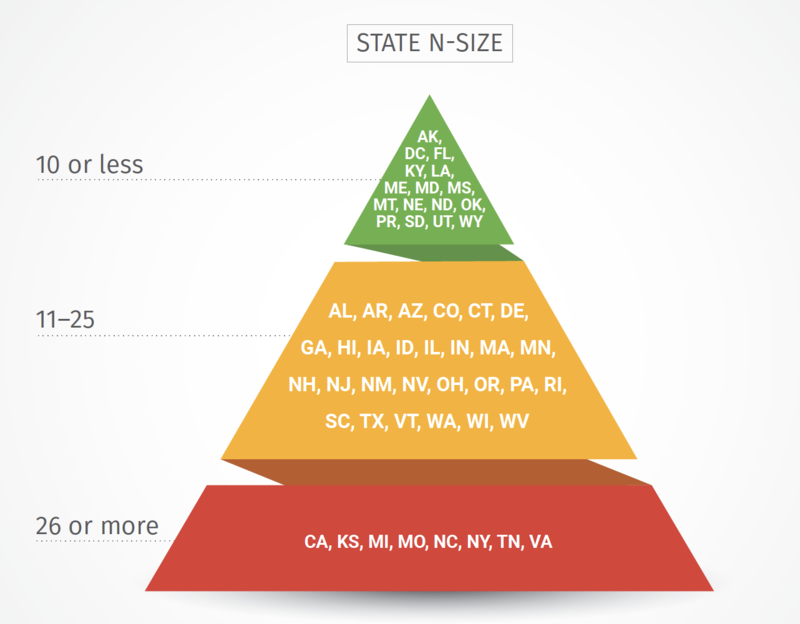 A new chart and updated fact sheet compare the minimum number of students each state sets to form a student subgroup, known as “n-size,” and what those numbers mean for monitoring and reporting the academic performance of historically underserved students. ESSA requires states to identify schools with struggling students for three types of support: comprehensive (CSI), additional targeted (ATS), or targeted support and improvement (TSI). 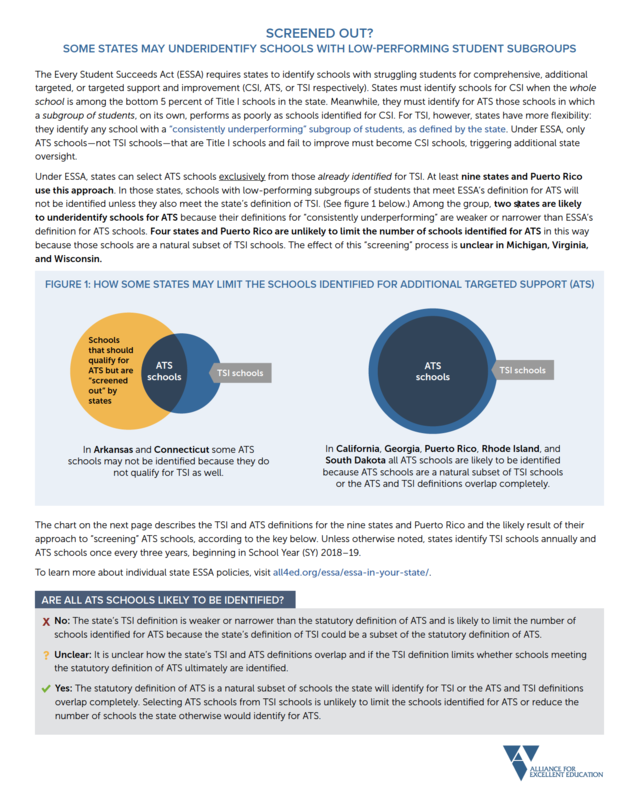 The law allows states to select ATS schools exclusively from those already identified for TSI. But by “screening” schools in this way, some states may miss schools eligible for support. This analysis examines the states that use this approach. All4Ed created a series of toolkits to help school and district leaders leverage opportunities available in ESSA to transform high schools. Toolkits provide instructions for implementing (1) early college high school and dual-enrollment programs; (2) Advanced Placement and International Baccalaureate programs; (3) deeper learning; (4) personalized learning; and (5) career and technical education. All4Ed created a series of bite-sized materials—both print and video—that provide concise but comprehensive analyses of several key areas within ESSA. ESSA supports states in implementing high-quality assessments by providing new assessment flexibility, funding, and a new pilot program. These new policies will support teachers in using assessments to foster deeper learning among students, including the ability to master core academic content, think critically and solve complex problems, and communicate effectively. Access additional fact sheets and other information on ESSA’s provisions on parent and community engagement, rural schools, teacher preparation, and more. Additional ESSA information including ESSA recommendations, coalition letters, and statements of support.